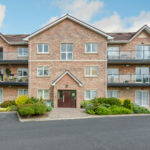 49 The Crescent, St Wolstan’s, Celbridge, Co. Kildare. 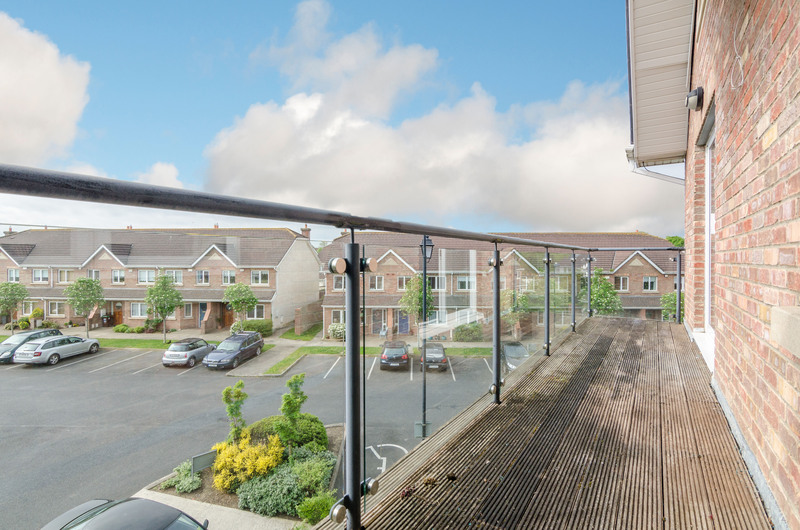 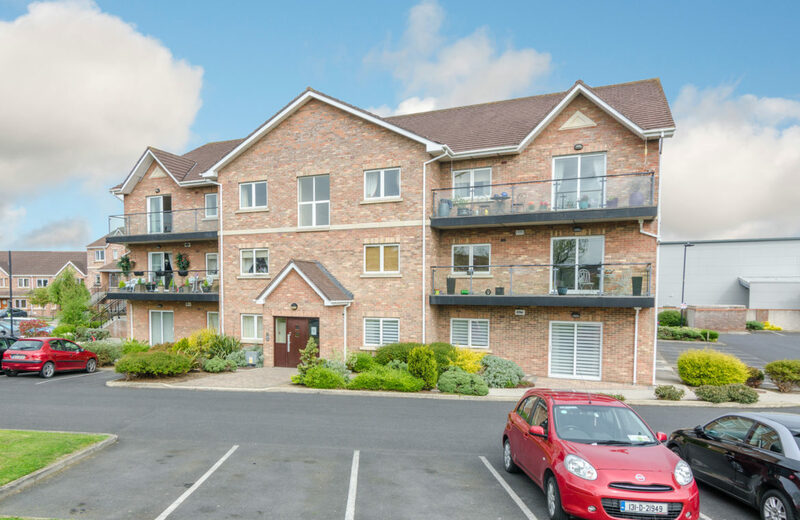 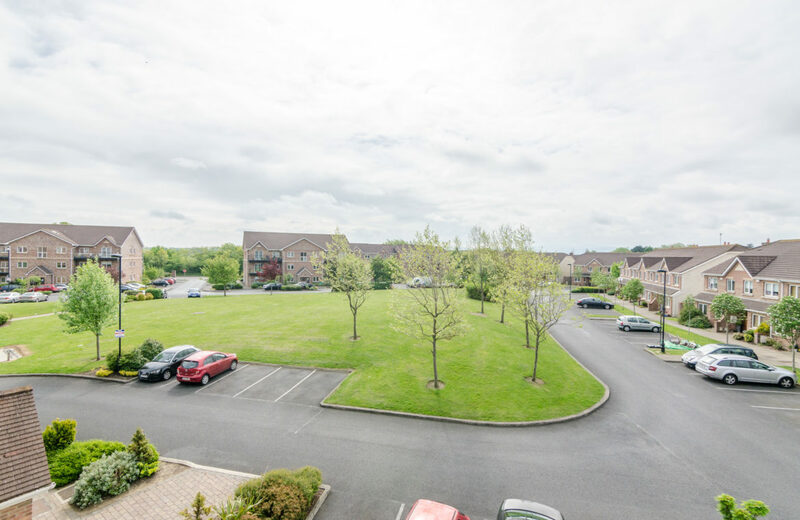 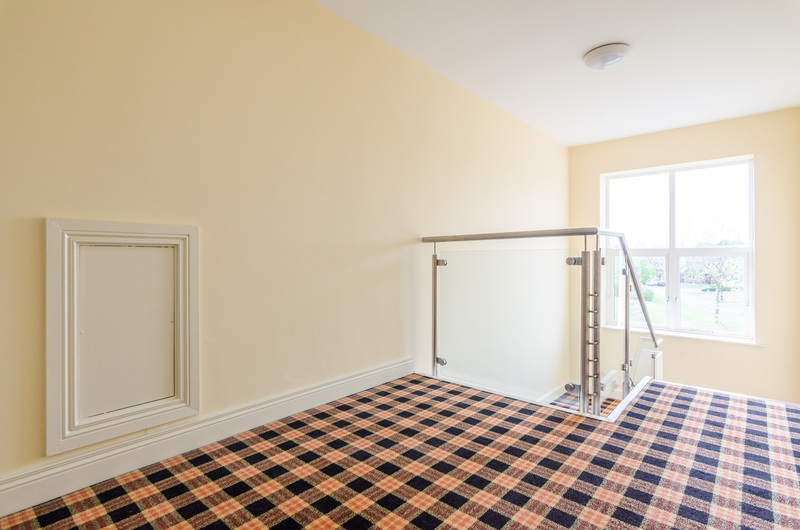 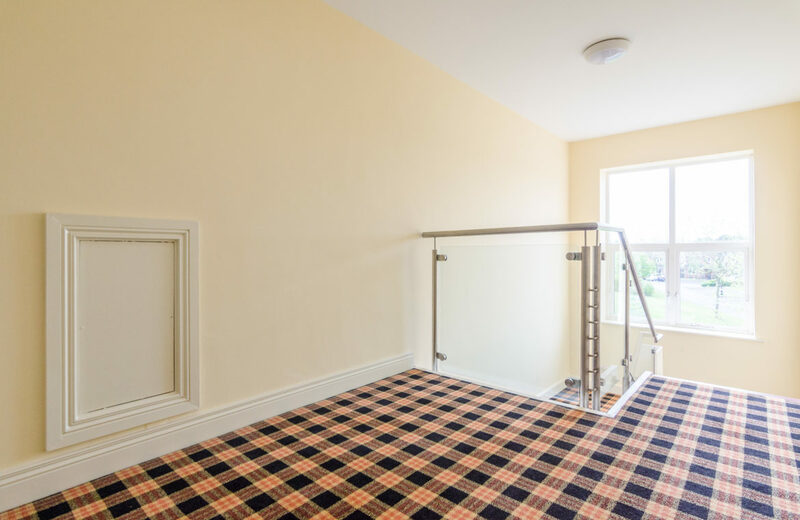 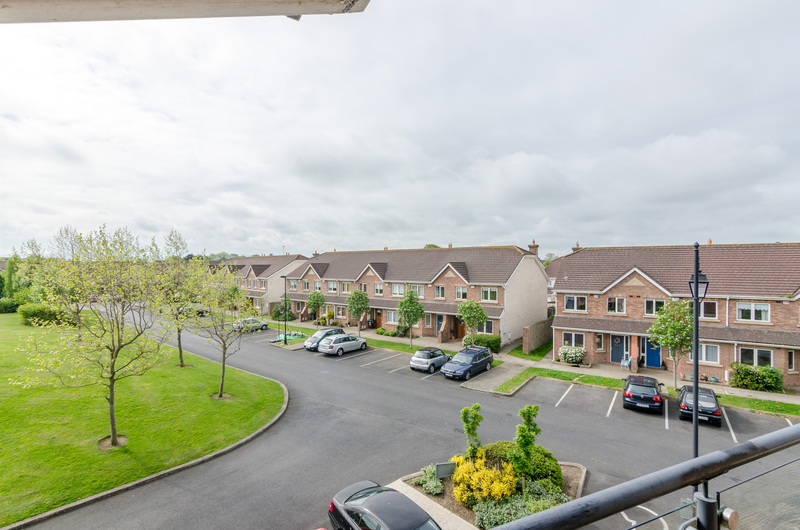 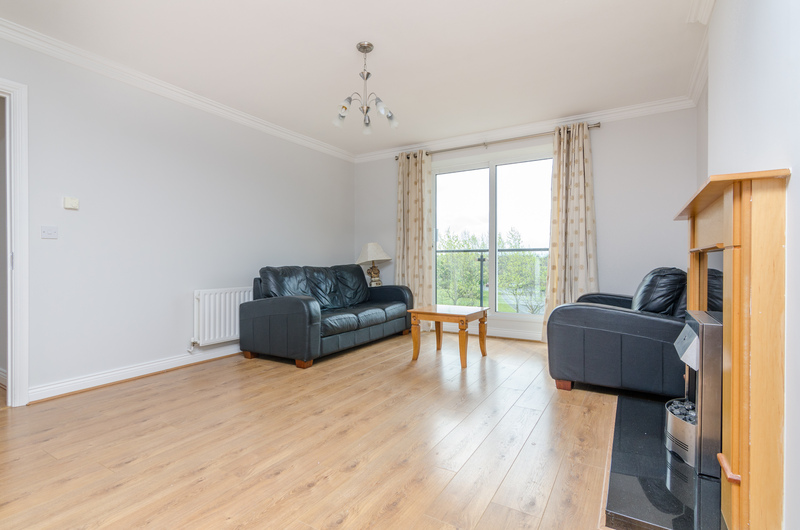 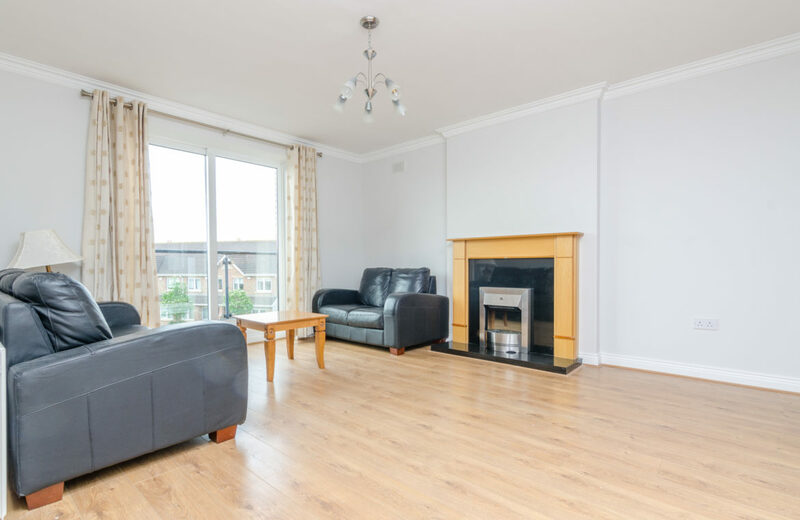 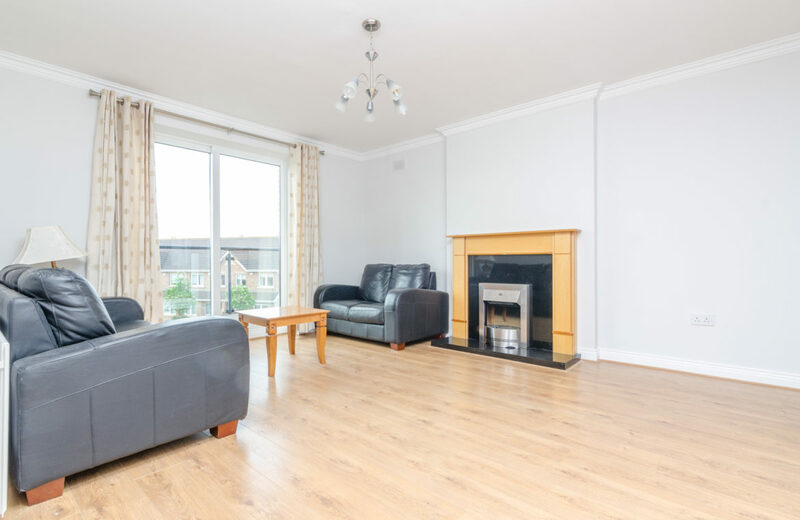 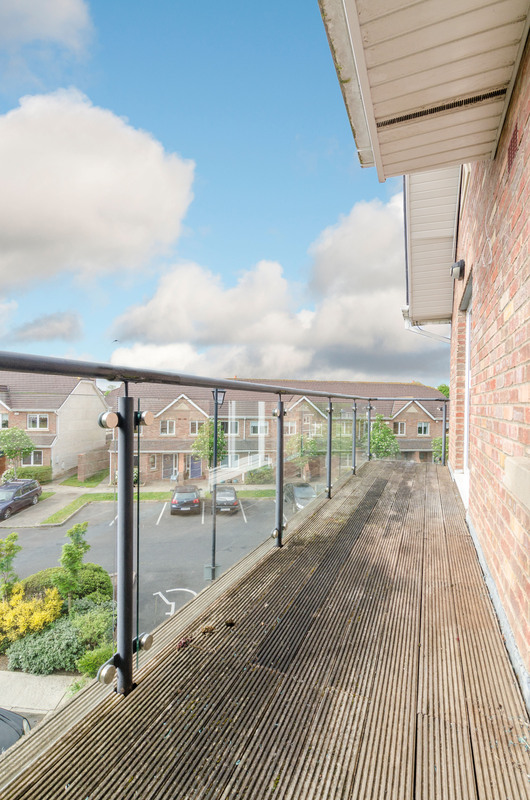 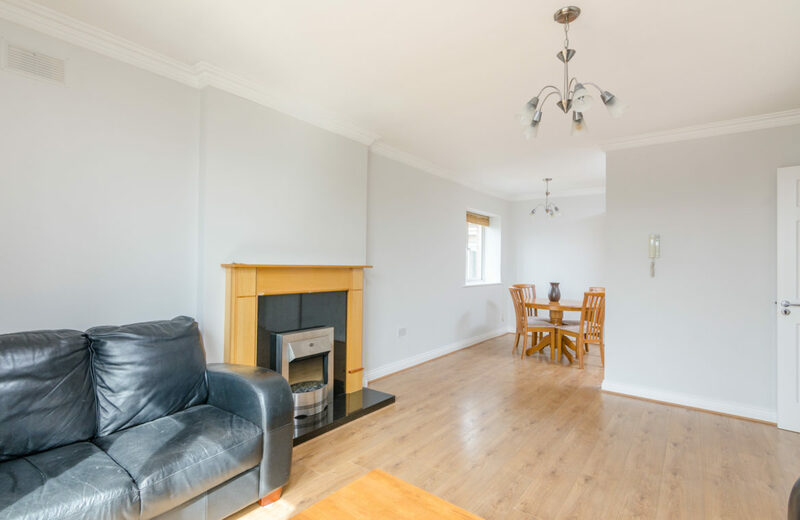 KELLY ESTATES and LETTING AGENTS bring to market this excellent 2 bedroom, first floor apartment in the ideal location of Celbridge, Co. Kildare. 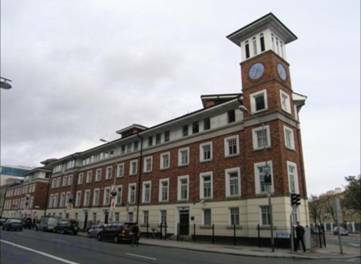 This property extends to c. 830 sq. 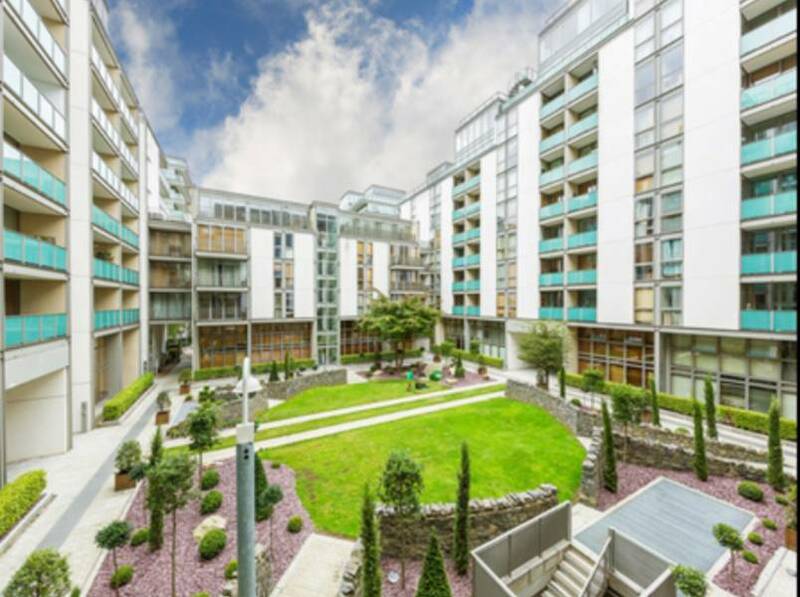 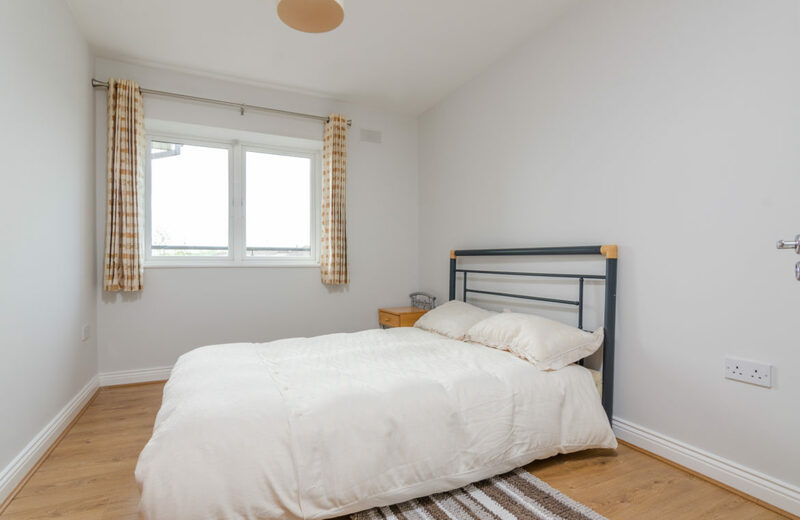 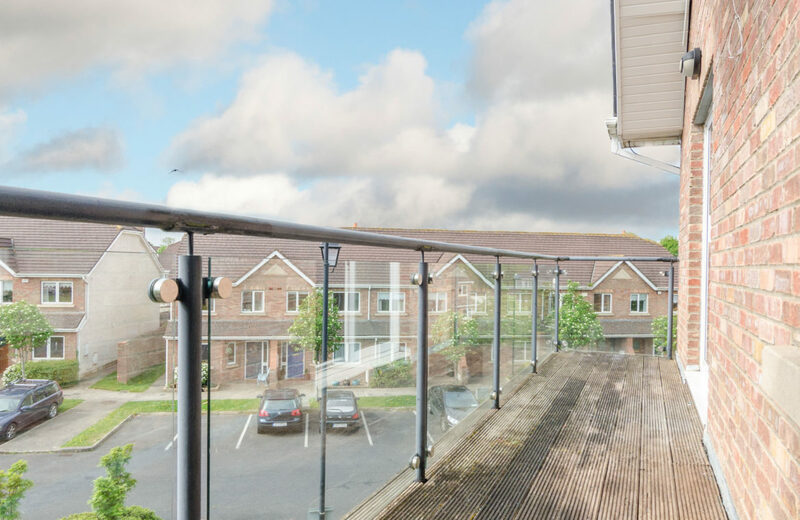 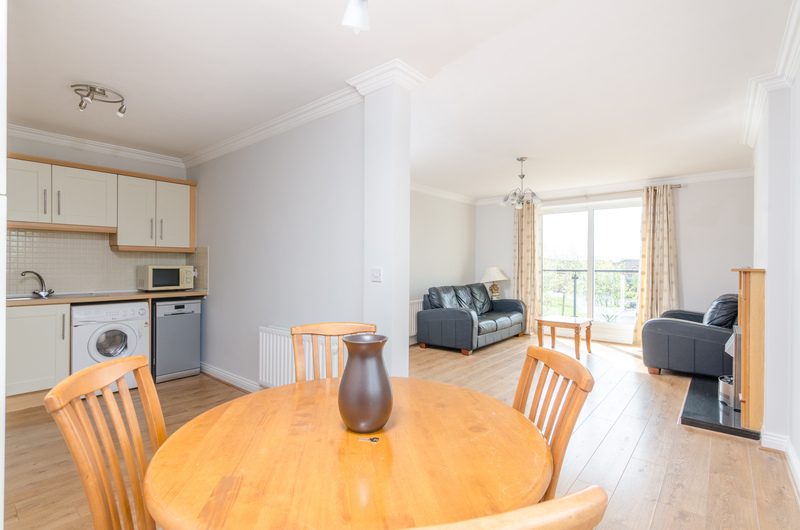 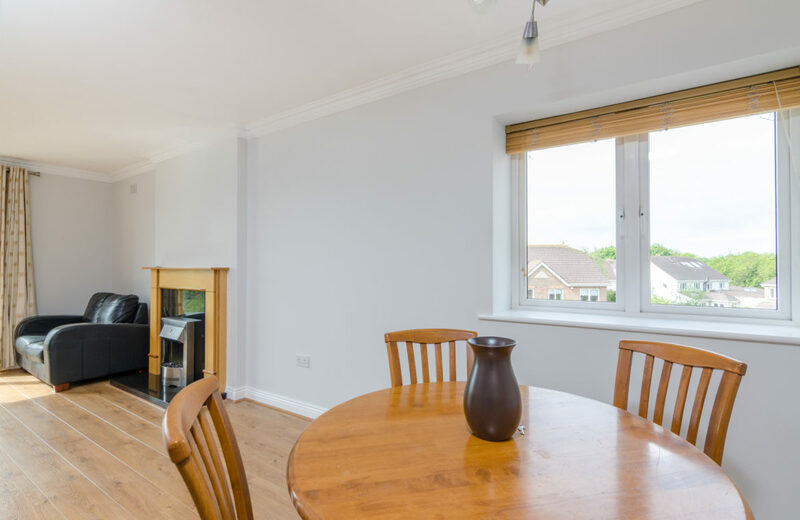 ft. and consists of a spacious living room, a fully equipped kitchen/dining area, 2 bedrooms with master en suite, main bathroom, with the benefit of a balcony & car parking and lift access. 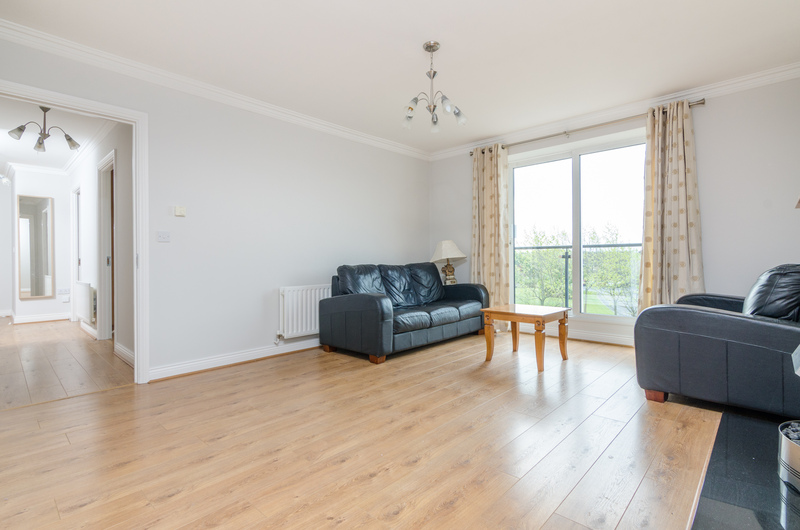 This apartment is tastefully decorated with wooden floors & tiles and. 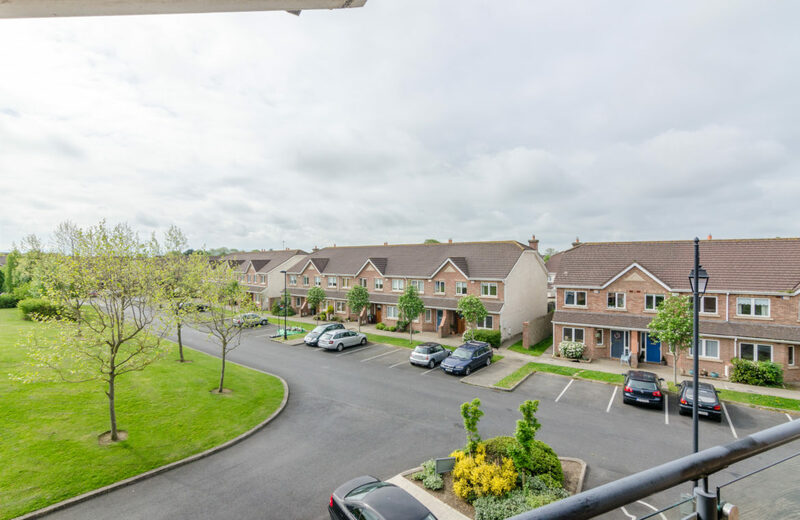 This much sought after, convenient location is situated in a quiet cul-de-sac and within a short stroll of Celbridge Village where there is easy access to public transport, there is also an excellent choice of primary and secondary schools in the area. 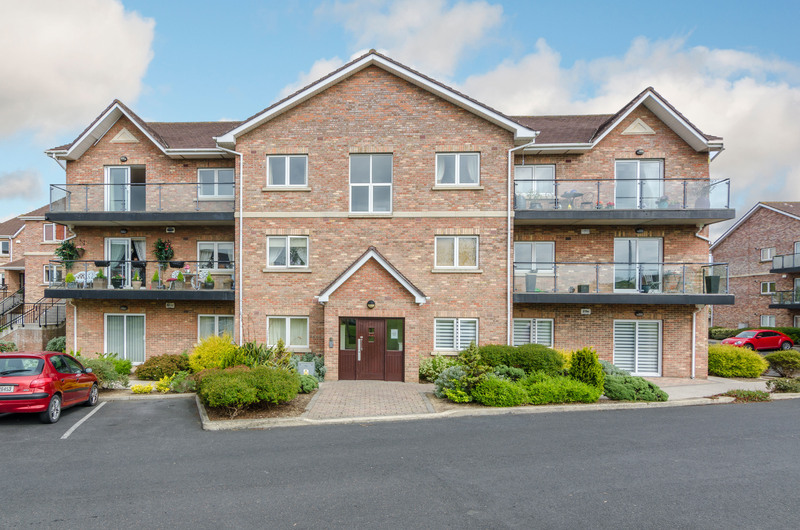 Close to all amenities, located a short distance from Celbridge Village which includes shops, restaurants, bars and a wide array of services. 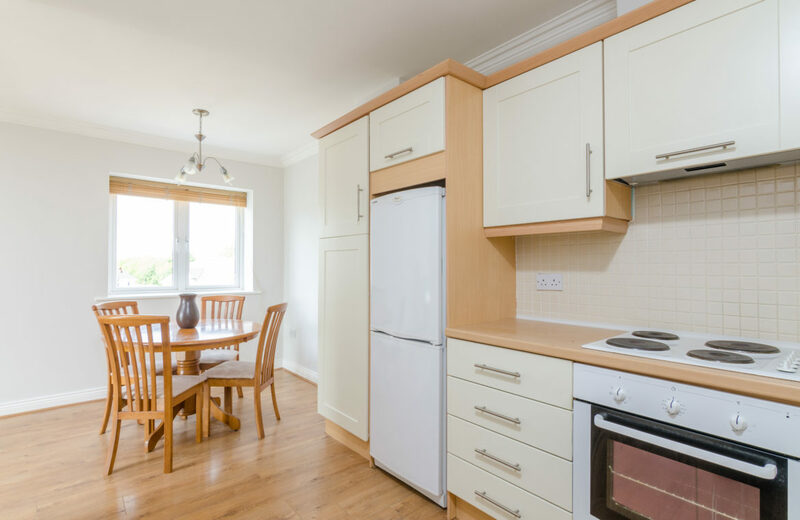 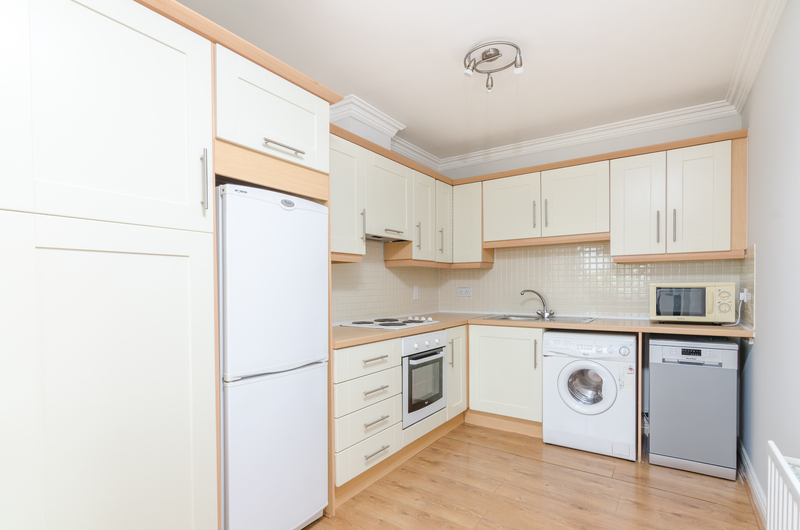 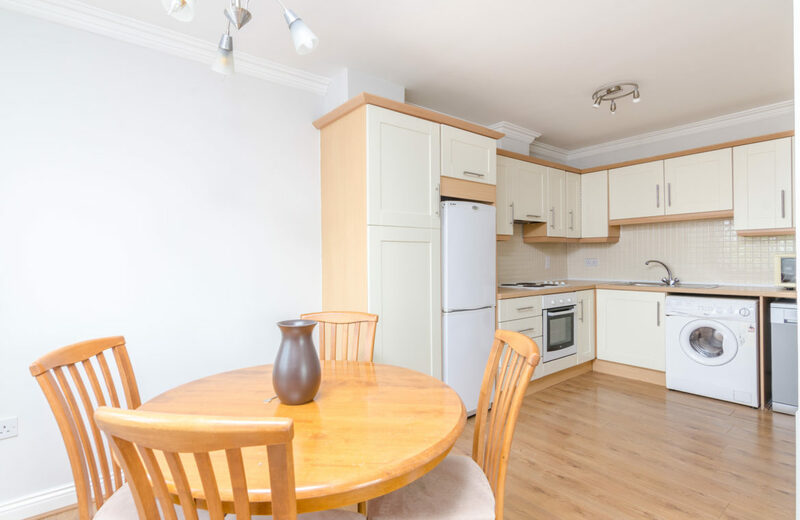 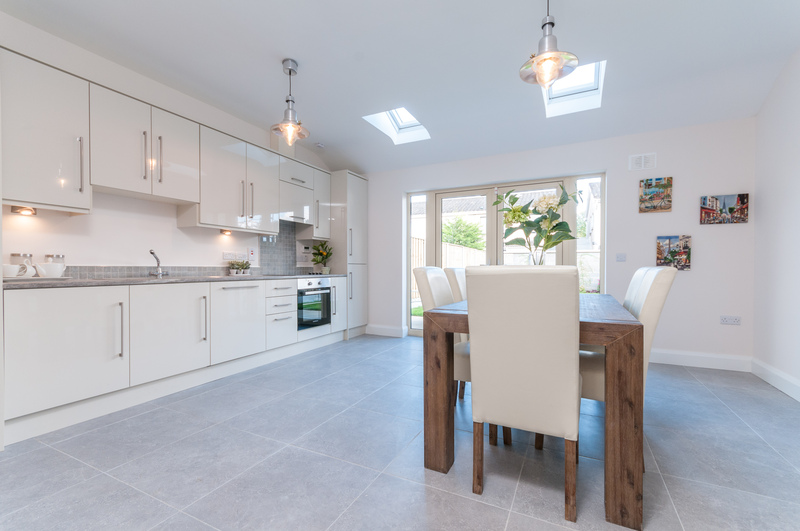 Kitchen: (2.37m x 3.37m) wood floors, stainless steel sink unit, built in hob and oven, fully equipped kitchen press units, drawers, saucepan drawers, worktops, tiled splashback, dining area. Living room: (3.98m x 4.77m) wooden floors, coving, wood & black marble feature fireplace, door to balcony. 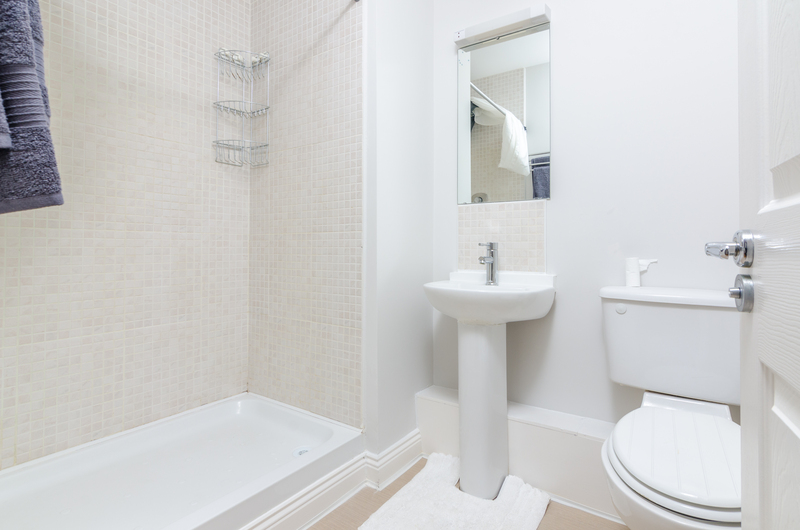 Bathroom 1: (1.82m x 2.4m) part wall tiles, W/C, W/H/B, bath, wall mirror. Bedroom 1: (2.72m x 3.44m) wooden floor, built in wardrobes. 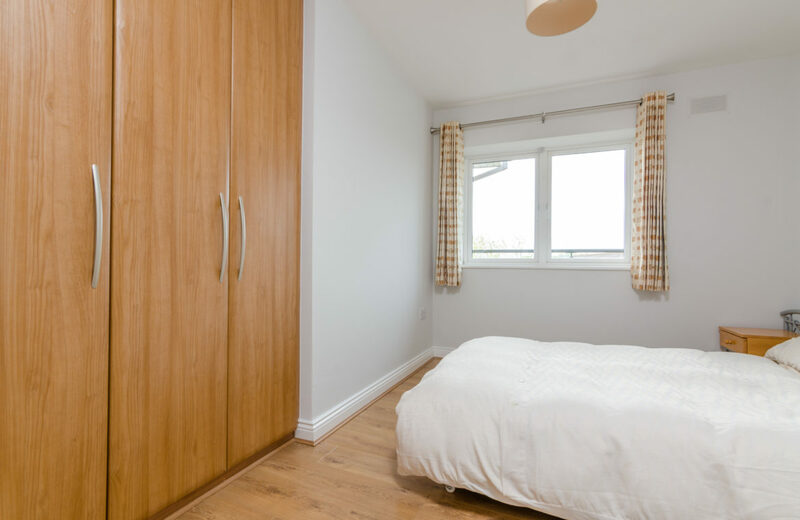 Bedroom 2: (4.92m x 3.07m) wooden floor, built in wardrobes. 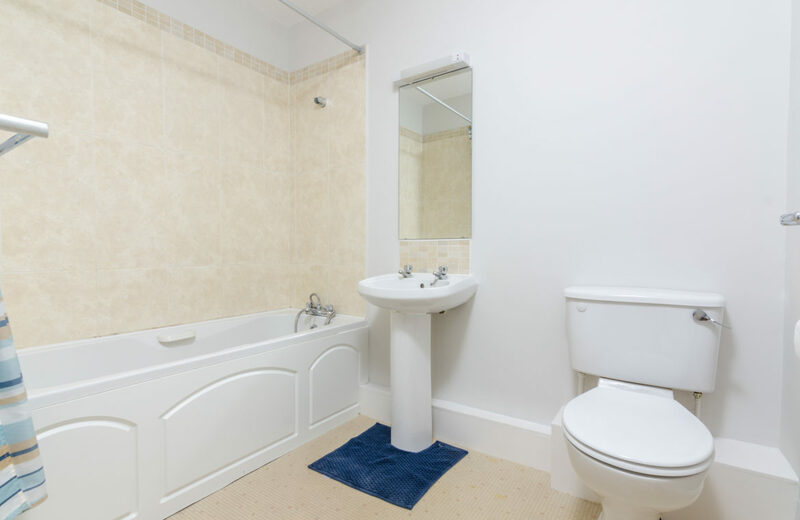 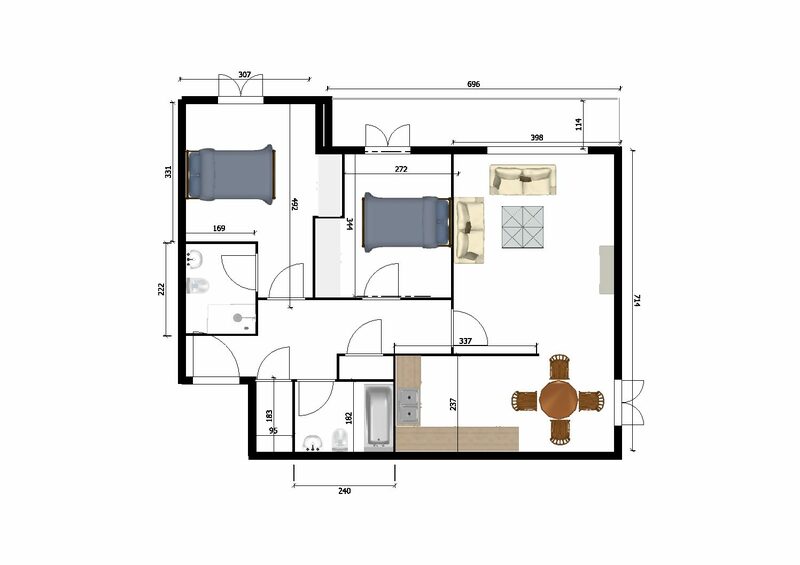 Ensuite: (2.22m x 1.69m) part wall tiles, W/C, W/H/B, cubicle shower. 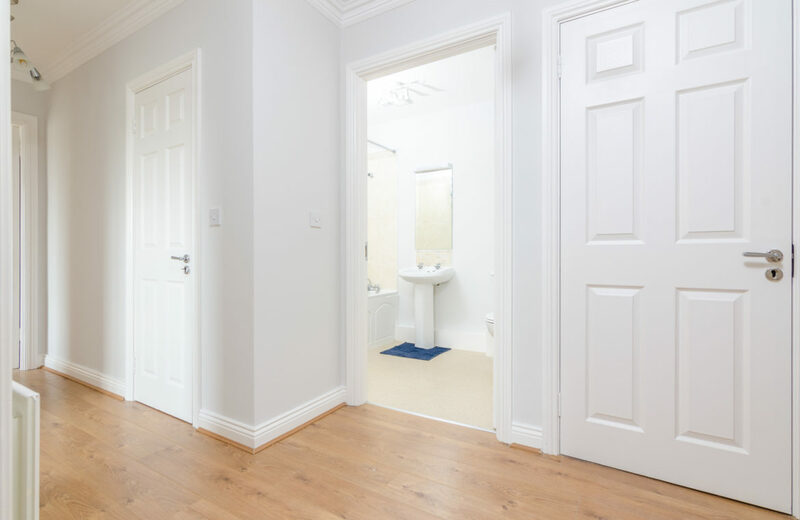 Hall: (1.83m x 0.95m) wooden floor. 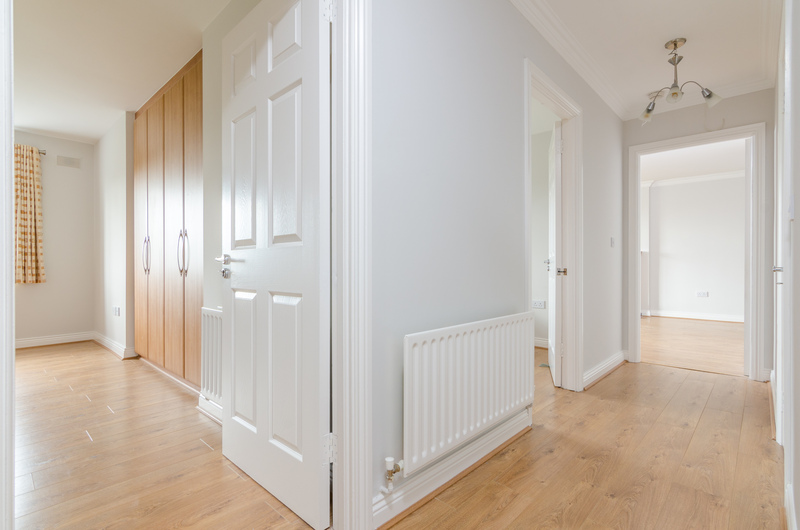 Services: Gas Central heating, parking, lift access. 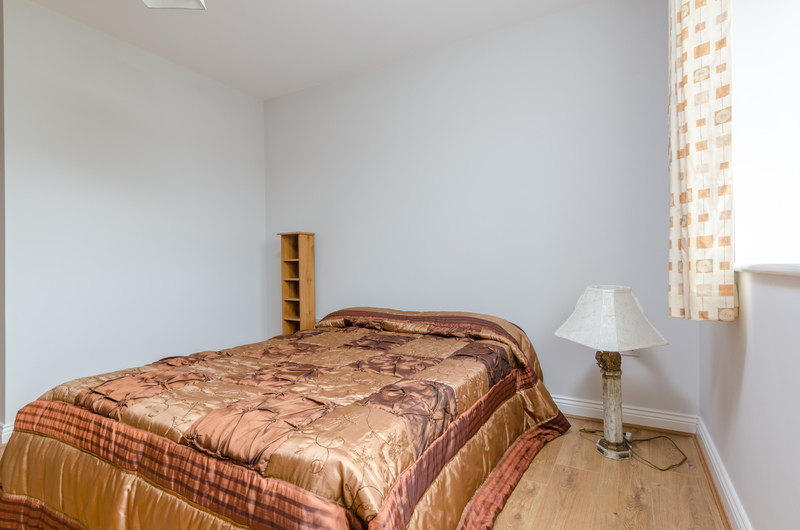 >> Property is unoccupied & available for immediate occupation. 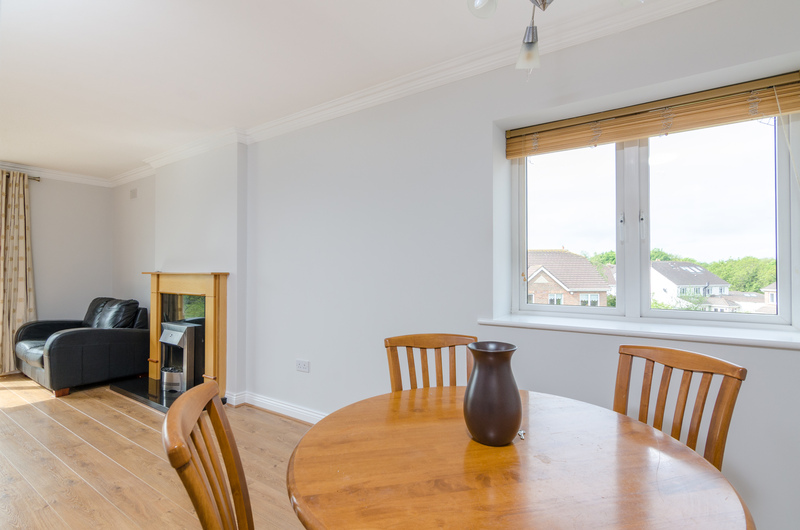 >> Superb home in excellent condition! 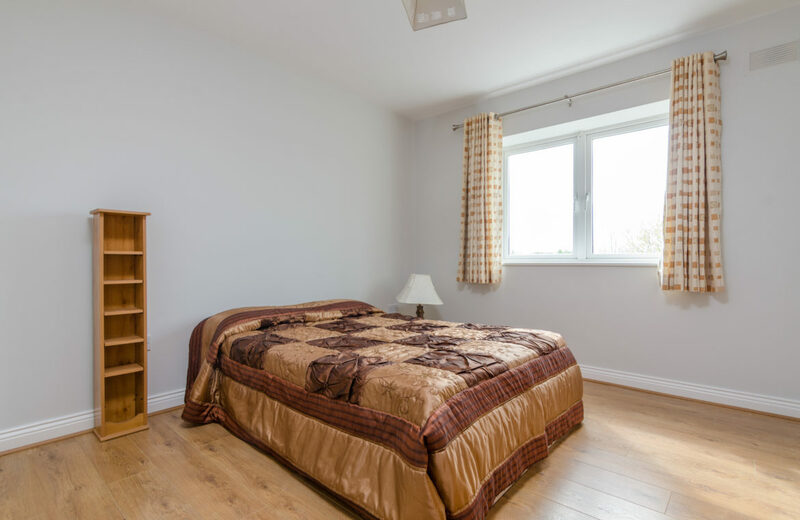 >> Very well laid out accommodation. 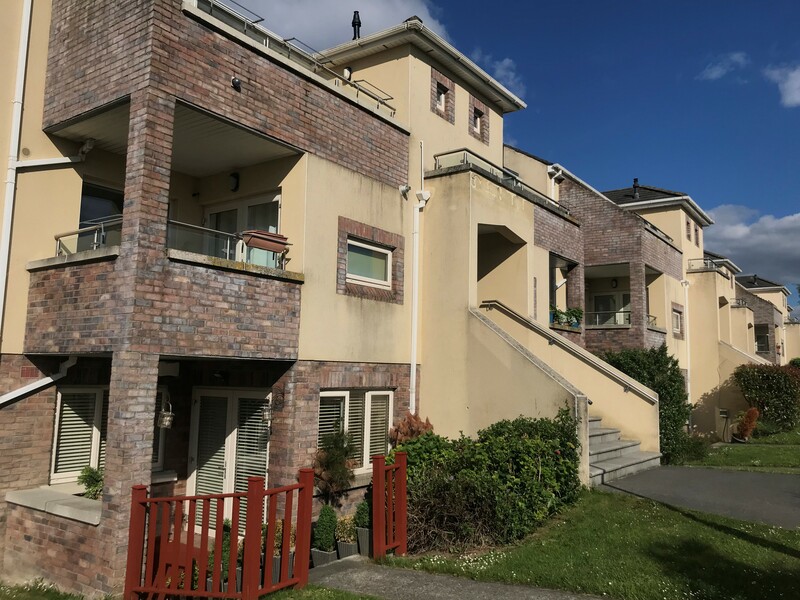 >> Peaceful cul de sac location. 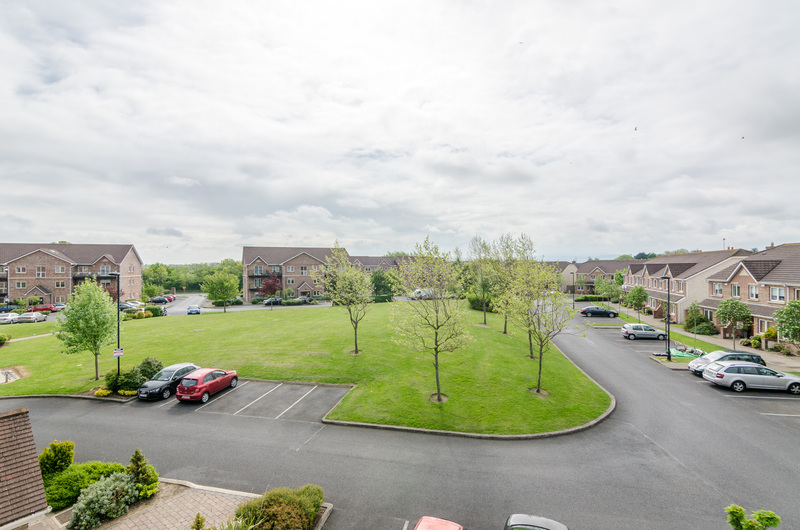 >> Parking & Lift Access.